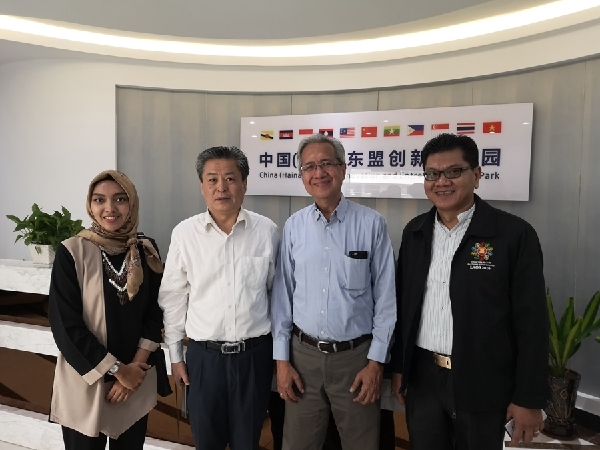 On 27 March 2019, Mr. Chen Dehai, Secretary-General of ASEAN-China Centre, together with Mr. Aladdin D Rillo, Deputy Secretary-General of the ASEAN Secretariat, Mr. Amjad Hussain B.Sial, Secretary-General of the South Asian Association for Regional Cooperation(SAARC), and senior representatives of more than 10 Asian regional cooperation organizations, including the Asia Cooperation Dialogue (ACD) and the Asian Financial Cooperation Association (AFCA), participated in a field visit organized bythe China Institute of International Studies(CIIS) to the Hainan Resort Software Community in Haikou City, Hainan Province. 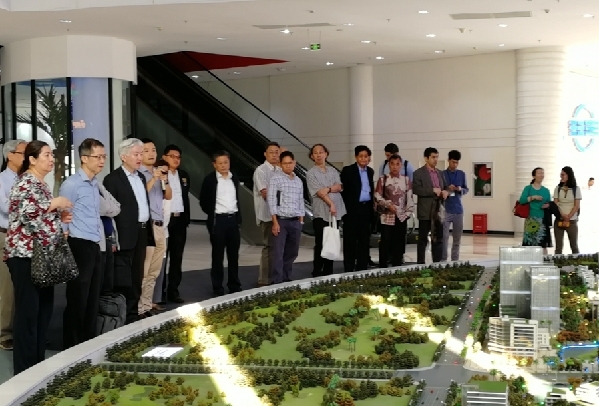 The guests visited the Hainan New City of Eco-Wisdom New Town, China (Hainan) - ASEAN Innovation and Entrepreneurship Park, Tencent Public Creation Space, Huawei Cloud Data Centre, FlashPay and other leading innovation parks and high-tech enterprises. The guests were briefed on the development plan, new technology, brand products and servicesof eachenterprise, and had face-to-face exchanges with representatives of the enterprises. 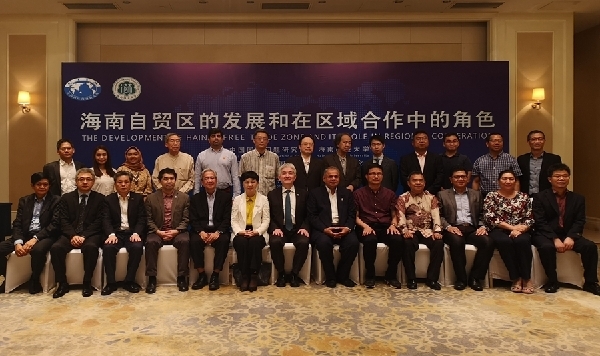 The guests also attended the conference on “Development of Hainan Pilot Free Trade Zone and Its Role in Regional Cooperation”. The officials of Hainan Provincial Governmentintroducedthe development plan of Hainan Pilot Free Trade Zone and preferential policies for attracting foreign direct investment.Based on the new trend of Asian regional development as well as the experience of field visit, the participants exchanged opinions and provided suggestions on how to build an island-wide pilot free trade zone and a free trade port with Chinese characteristics in Hainan Province and better playthe role of Hainan in regional cooperation.